FIFTEEN years ago, a Boeing 727 plane disappeared amid very strange circumstances, shocking the world and sparking a massive search effort. It was never found, and just what happened on board remains a mystery to this day. It was sunset on May 25, 2003 when the aircraft began moving erratically down a runway at Quatro de Fevereiro Airport in Luanda, Angola, without having received clearance. There was no communication with air traffic controllers before it took off without lights and headed southwest over the Atlantic Ocean. Its transponder was not transmitting. Shortly beforehand, two men had boarded the 46m-long aircraft, registered as tail number N844AA. 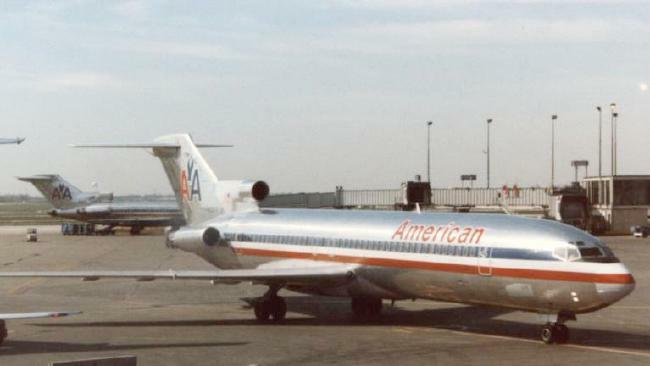 The plane was once owned by American Airlines, and was still partly decorated in the airline's signature metal look with red, white and blue livery. It was 28 years old at the time of its disappearance, and had recently been sold to US company Aerospace Sales and Leasing, and leased by TAAG Angola Airlines, reportedly to use in the diamond mines of West Africa. However it failed to be used in over a year and the airline racked up a reported $US4 million (A$5 million) in airport fees. It was then in the process of being converted to be used for another carrier - IRS Airlines - when it vanished. At the time of its disappearance, it had no seats and was carrying 10, 500-gallon fuel tanks. Just before it took off, flight engineer and aircraft mechanic Benjamin Charles Padilla was spotted entering the plane. The airline had hired him to do some work on the jet to bring it up to operational standards, and he had brought along new assistant John Mikel Mutantu. They neither of the men were licensed to fly the plane, with Padilla holding only a light aircraft licence. Besides, it would have been nearly impossible for just two men to have operated this kind of plane - 727s usually require three trained pilots. So there is speculation a third person may have hopped on-board too - or been waiting for the duo. The men have never been seen again. The FBI, CIA, State Department and Homeland Security all frantically investigated the disappearance. The search was far and wide around the world, as the plane disappeared 21 months after 9/11 and terrorism was suspected, but it yielded no clues. One popular theory has it that the jet was stolen from under the noses of air traffic control. Retired US Marine General Mastin Robeson was commander of US forces in the Horn of Africa when the plane went missing. He told the Smithsonian's Air&Space magazine that word of the 727 popped up in the intelligence network. 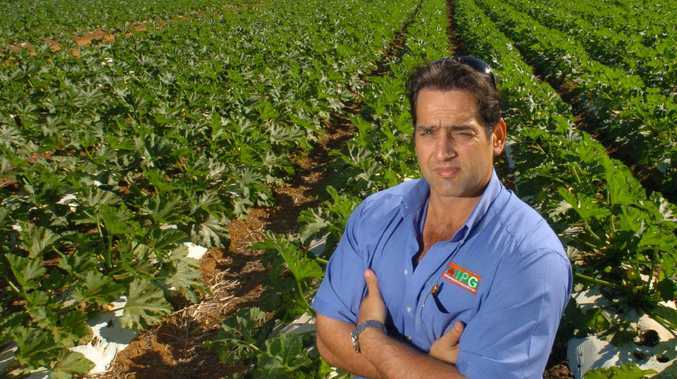 "It was never [clear] whether it was stolen for insurance purposes … by the owners, or whether it was stolen with the intent to make it available to unsavoury characters, or whether it was a deliberate concerted terrorist attempt," he said. "There was speculation of all three." 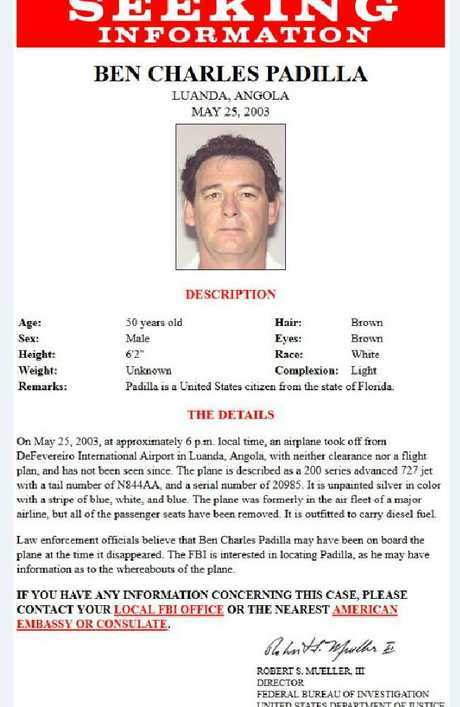 Padilla's sister Benita Padilla-Kirlkland tried to get the FBI to re-open his case in 2010, Air&Spacereported. She claimed the agency knows more than it will admit to. While there was a reported sighting of the plane in 2003 in Guinea, it was dismissed by the US Department of State as not credible. There was another reported sighting later also in Guinea, but it also was never verified. So who was flying the plane - was it hijacked? Was there a bomb on board? Did it crash over the ocean? Or was it repainted and used somewhere else? The questions remain just as perplexing, all these years on.